Cheetah run and Cheetah Hunt both feature the iconic Busch Gardens cheetah. One is a world-class animal experience and the other is a world-class roller coaster. You find Cheetah Run and Cheetah Hunt in the Egypt section of Busch Gardens Tampa; both not-to-be-missed attractions for every age group. Both attractions help tell the story of the cheetah with the unique storytelling of Busch Gardens Tampa. 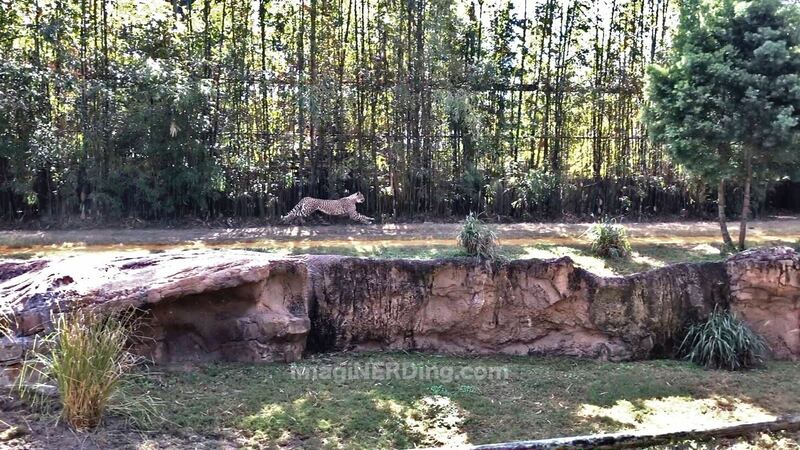 Check out that Busch Gardens Cheetah run! Cheetah Run is an eleven-acre area located next to Cheetah Hunt. Several times throughout the day, you can watch one of the many cheetahs chase down a lure. The lure is attached to a string which is pulled by an electric motor. The lure reaches speeds up to 70mph. The run is 225 feet long, which gives the cheetah opportunities to chase the lure. 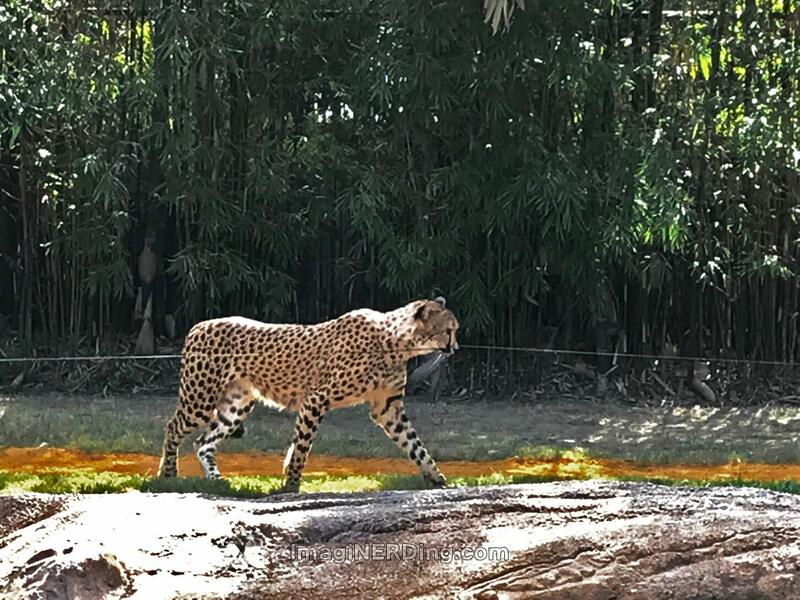 Currently, there are five cheetahs at Busch Gardens Tampa. Several of the cheetahs came from The White Oak Conservation Center (an AZA facility), while others came from a conservation center in South Africa (Ann van Dyk Cheetah Centre in DeWildt). 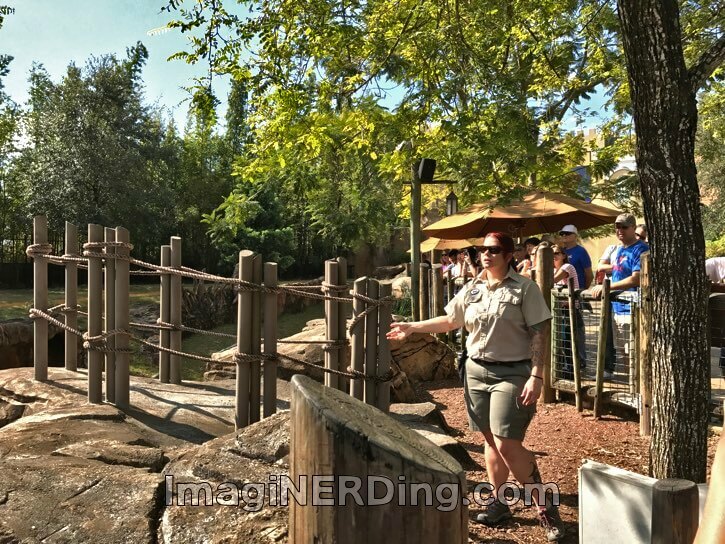 There are educators stationed around the Cheetah Run area to help answer guests’ questions throughout the day. Inside the exhibit area are video screens and touch screens to offer a closer look. Cheetah Hunt opened the same time as Cheetah Run and the world-class roller coaster offers a truly unique experience. It’s one of the few roller coasters that actually tells a story without needing to rely on a massive show building or extensive props. The Cheetah Hunt queue building is the former station for the monorail (yes, Busch Gardens Tampa had a monorail). Be mindful, because one of the queues takes you to the sky ride. The 102-foot launched lift hill leads to a figure-eight track with several helixes. This part of the coaster has always been impressive and gives you the first feeling of the theme. You feel like you are a cheetah that has quickly climbed a tree and you’re circling to catch a glimpse of our prey. The coaster has a few other signature moments that are very engaging, but you need to experience them for yourself! Busch Gardens Cheetah Run and Hunt Video! Check out my video that features a cheetah running after the lure and a a ride on Cheetah Hunt (with off-ride and POV video). Don’t forget to head over to my YouTube channel and subscribe! 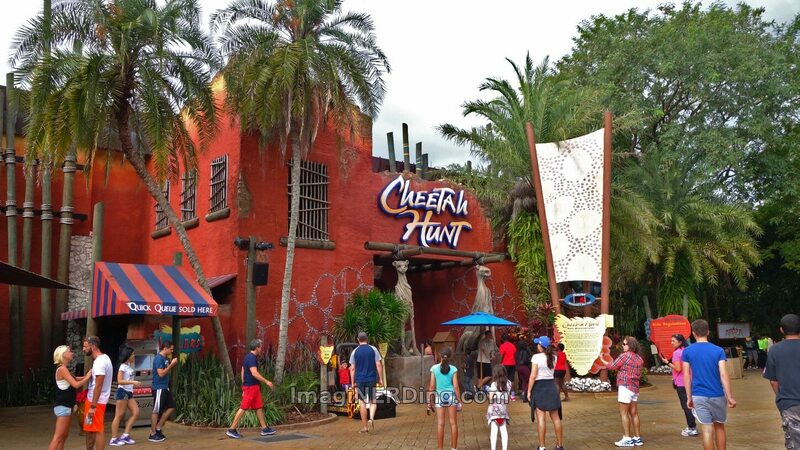 Have you had a chance to see the Busch Gardens Cheetah Run or ride Cheetah Hunt? What was your favorite moment?